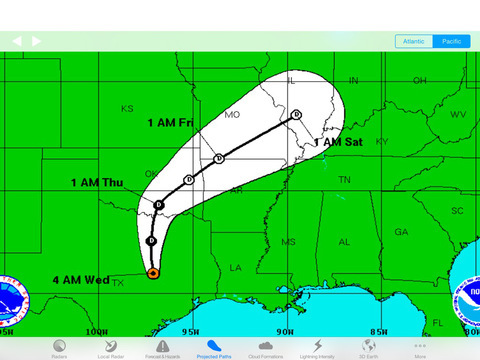 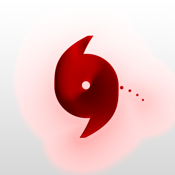 Hurricane Track 3.0 is the most advanced, modern, and easiest to use Hurricane Tracking and Radar application! 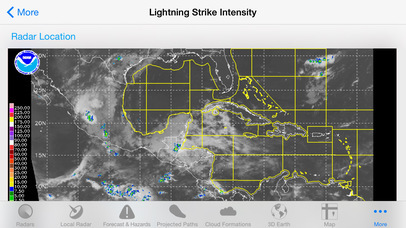 Hurricane Track 3.0 features incredible new features such as 12 World Radars, a new customizable dynamic Local Radar using NEXRAD "next-generation radar" technology, Forecast and Hazard warnings, future projected tropical cyclone paths, Lightning Intensity Radars, Sea Temperatures, Cloud Formations that can potentially turn into tropical cyclones, Maps, an interactive 3D Earth, detailed tropical storm information and discussion, and much much more! 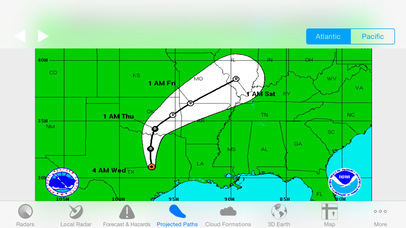 Hurricane Track 3.0 brings the most advanced hurricane tracking technology to your fingertips, and the best part is Hurricane Track is Free! 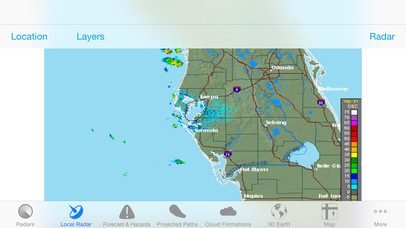 8 World Radars for 12 different Locations around the Globe! 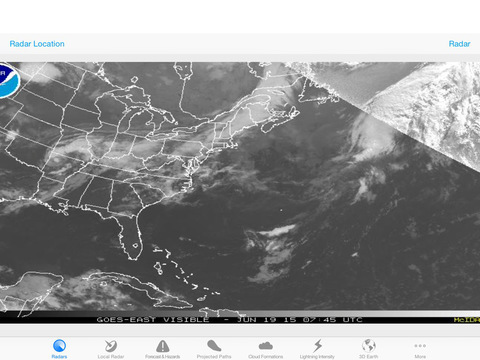 - Shortwave - Channel 2 Shortwave Infrared imagery - Shortwave, sometimes considered "night visible"